Scotland’s richest MSP is under pressure to return a £185,000 property development grant after bungling officials failed to claim it back on time. 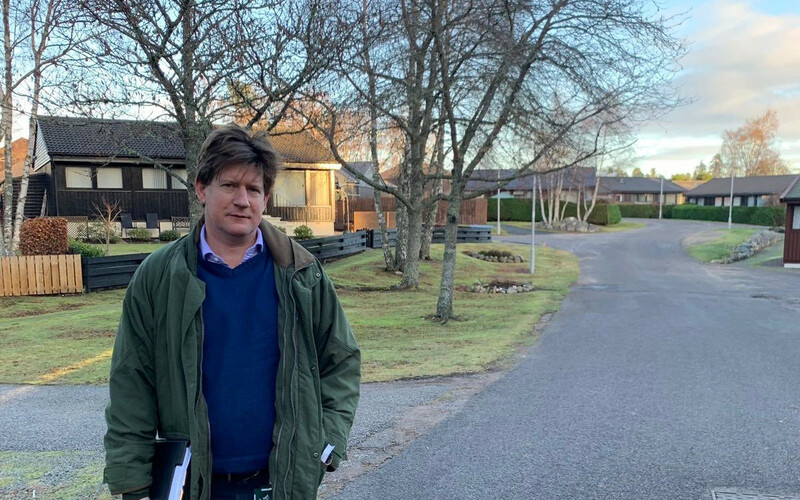 Taxpayer cash was awarded to a firm owned by the Conservative MSP for Aberdeenshire West, Alexander Burnett, in 2000 to help kick-start the construction of Banchory Business Park. The original grant agreement from Scottish Enterprise included “clawback” conditions allowing taxpayers to claim cash back from the MSP’s firm, North Banchory Company. Money was due to be repaid if the development was sold off at a profit or valued at more than £2.3 million five years after construction, whichever came first. The development was completed by 2007, and along with another smaller property, was independently valued at £2.6 million by 2015. It is currently still owned by North Banchory Company, although it has been put up for sale according to the Shepherd Commercial website. The Ferret has now established that Scottish Enterprise left it so late to claim back the cash that officials cannot force the MSP’s firm to repay it. The saga spanning nearly 20 years has been branded a “shambles” by critics. Emails released under freedom of information law show that staff working for North Banchory Company first argued that it was too late for Scottish Enterprise to make a legal demand for the taxpayer cash to be repaid on 5 September 2018. In January 2019 – more than a decade after the development was completed – Scottish Enterprise officials conceded that the firm’s lawyers were right. Although Burnett has not broken any laws opposition MSPs have called on him to return the taxpayer cash to Scottish Enterprise. Companies House records show that the MSP owns at least 75 per cent of the company and has the right to appoint directors. According to Burnett’s parliamentary register of interests the firm pays for his private healthcare and makes “occasional” contributions to his pension fund. In the past North Banchory Company has paid him thousands of pounds a year for “one or zero” days work each month. Burnett also holds his MSP surgeries at the business centre on a regular basis. Labour MSP, Neil Findlay, described the series of events as “a shambles from start to finish” and called on Burnett to repay the money. “Almost £200,000 of public money has been lost whilst small businesses across Scotland, who are not started by Highland landed gentry, struggle to get any financial assistance,” he said. He also expects to earn thousands more from a number of firms linked to his other property interests in the north east. Economy spokesperson for the Scottish Liberal Democrats, Katy Gordon, accused Burnett of managing to make the system work in his favour. “While there is no suggestion of wrongdoing, it would not hurt for him to consider whether an MSP should be content with this state of affairs,” she said. 4 December 1997 – Alexander Burnett of Leys appointed director of North Banchory Company. 2 May 2000 – Grampian Enterprise approve grant of £185,000 to North Banchory Company for business park development, total value estimated at £2.3 million. 20 February 2001 – Lawyers for North Banchory Company accept offer including clawback conditions, which limit maximum repayment to £185,000. Grant repayments would have been triggered if the business building was sold for more than £2.03 million or if the serviced sites were sold for value greater than £75,000 per acre, or if both the sites were together valued at more than £2.3 million five years after construction has completed. 31 August 2007 – Development complete and largely let to tenants, according to emails. August 2012 – Five years after the agreed development completion date. As the development had not been sold by this date, the developer argues that the market value of the site at this date should be basis of any grant repayment claim, as set out in the terms and conditions of the grant. Late 2012 – October 2013 – Correspondence between North Banchory Company and Scottish Enterprise regarding the final grant repayments ends with Scottish Enterprise official promising to get back to North Banchory Company representatives by November 2013. North Banchory Company emails suggest that they subsequently never made claim for repayment. 31 March 2015 – Banchory Business Centre and Deeside Dance Studio were together valued by Strutt and Parker as worth £2.6 million according to North Banchory Company accounts. April 2016 – Alexander Burnett notifies Companies House as ‘person of significant control’ of North Banchory Company. Controls 75 per cent of equity in company and has right to appoint other directors. May 2016 – Alexander Burnett elected to Holyrood. August 2017 – 10 years after the completion date – the last date which Scottish Enterprise could have made claim for repayment. 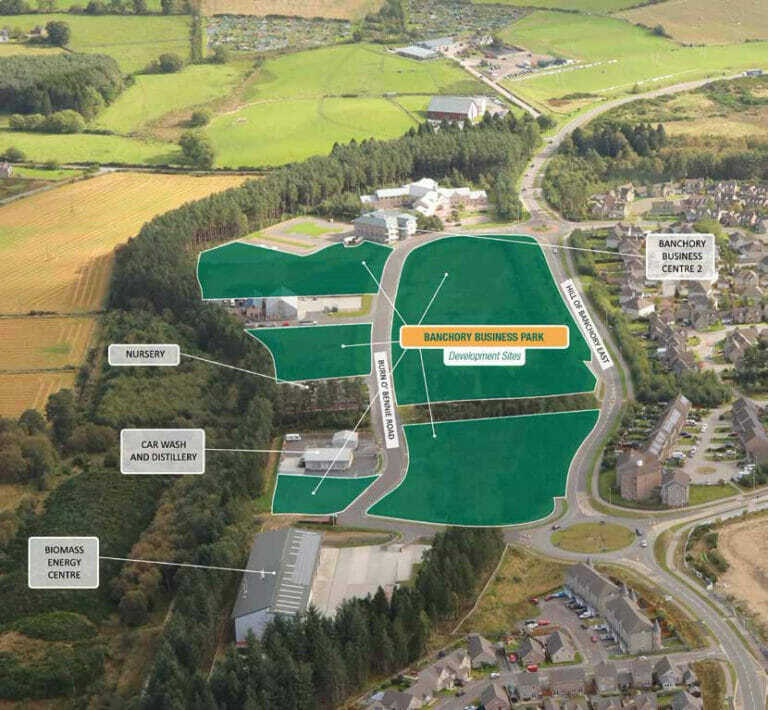 February 2018 – “Discussions and dialogue” resume, instigated by North Banchory Company, as they consider selling part of site. North Banchory Company argues that the Scottish Enterprise cannot legally enforce any repayment. March 2018 – Whilst Alexander Burnett has been an MSP he received occasional pension payments, medical insurance and an annual salary of £6,273 per annum for between 1 and 0 days work per month from North Banchory Company. After March 2018, he ceased to receive salary payments. January 2019 – Scottish Enterprise officials confirm that they will not pursue any repayment of the grant. However, the Scottish Conservatives dismissed Burnett’s critics, claiming they were preoccupied with class warfare. “Scottish Enterprise awarded this grant 20 years ago, and the objectives for which the grant was made were achieved,” said a party spokesperson. Burnett has run into controversy over his extensive financial interests in the north east before. Earlier this year SNP MSP, Gillian Martin, accused him of hypocrisy for criticising Scottish Government policies that support onshore wind turbines, whilst holding a financial interest in a country estate which generates an income from wind power. In 2017 Burnett was criticised by the Holyrood Standards Committee twice in two weeks for failing to declare an interest in parliamentary questions he had asked. This story was published in tandem with the Sunday National. The story was amended on 1 April 2019 so that Katy Gordon was not described as an MSP. The headline was also amended to clarify that it was Alexander Burnett’s firm that was permitted to keep the grant money.